3813 Buckingham Ln, Mountain Brook, AL.| MLS# 831292 | Richard Jacks UABLIVING.com 205-910-2297 | Birmingham AL Real Estate | Contact us to request more information about our Homes for Sale in the Birmingham AL area. Charming Mid Century Three Bedroom, Two Full Baths, plus a great bonus room with a private half bath in the Heart of Overton Village! Freshly painted kitchen cabinets with 2017 stainless steel appliances, updated bathrooms, hardwood floors, fireplace, plantation shutters, screen porch, large outdoor storage unit located inside the fenced backyard. Tons of maintenance upgrades, including New Roof (2012), New Windows (2015), Encapsulated Crawlspace (2016), HVAC (2015), Updated Electrical (2017), Hot Water Heater (2014), and Foundation Helical Piers installed by AFS (2017). The bonus room includes a closet and half bath, perfect for an office or guest room. 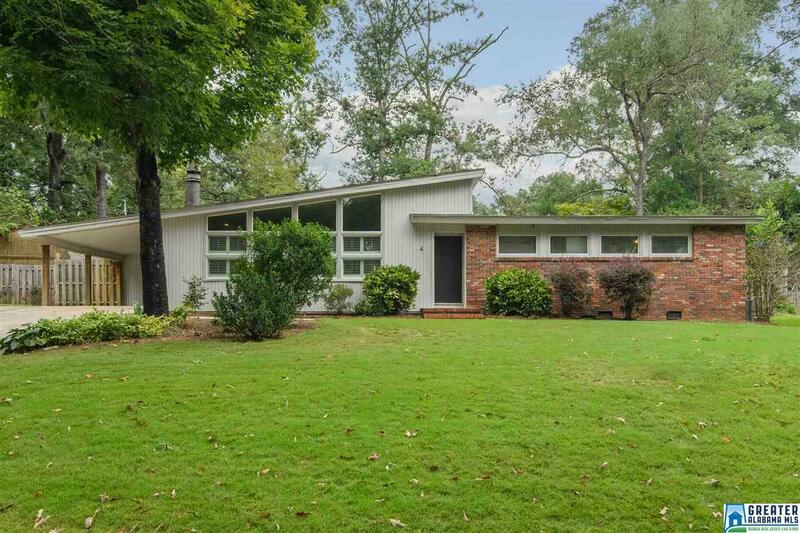 Easy walkability to Overton Park and Overton Village. Zoned for award winning Mountain Brook Schools - Brookwood Forest Elementary or Mountain Brook Elementary. Immediate occupancy is available. Book your showings today! This one will go quick!